President Trump is now doing the unthinkable – in his war on terror, he has resulted to the use of chemical weapons. 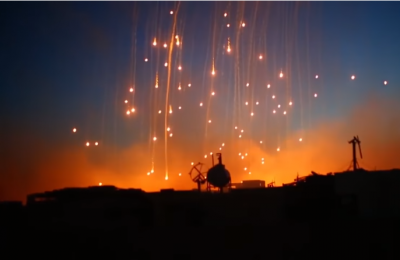 Multiple reports are confirming that a US-led Coalition used white phosphorus-loaded ammunitions in heavily populated cities of Iraq and Syria. Thousands of civilians are known to be in the areas where the weapons were used according to The Washington Post. “As many as 100,000 civilians trapped inside the Islamic State-held city of Raqqa are being given conflicting evacuation instructions according to Coalition statements and local reports, as US-backed ground forces finally assault the city supported by air and artillery strikes.